I am going crazy trying to create this. I am trying to create a pulsar graph that starts and ends on two points that have the same y smoothly along the x axis. 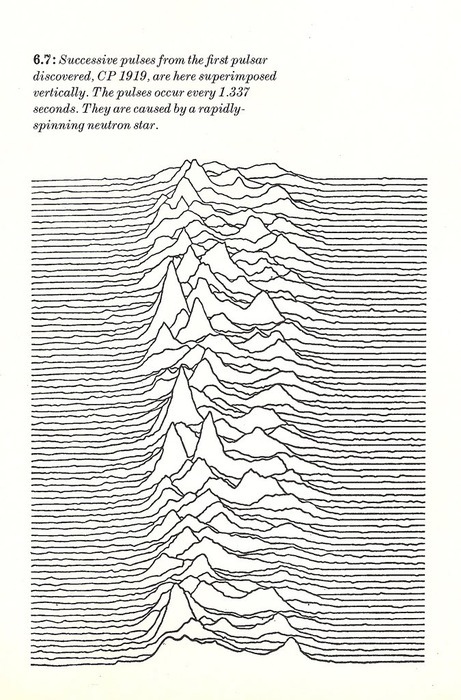 The pulsar should have random valleys and peaks. The height of the graph should also be variable. Here the first graph is what I want, while the second one is the best that I think I can produce. I have tried lots of different things from generating some random points and trying to interpolate them(the result is not smooth along the x axis) to adding random functions using Exp(but failing on making it fall between two points). but still have more freedom on where to put the waves. I hope I managed to explain myself correctly. P.D. I managed to find this similar answer in the past, but I cant make the graph between two random points and hence creating this question. Edit: After lots of trial an error I found a way to do this. This function receives a list of points. Then it iterates over pair of points and adds a new one in between. The height of the new point is in the middle of the two adjacent points plus a random value. 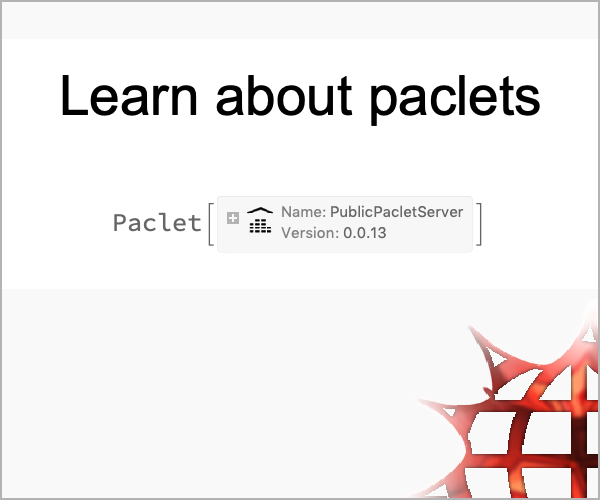 This function generates a list of random points between start and end. The first two points and the last two have the same y value to force the graph to start and end smoothly. 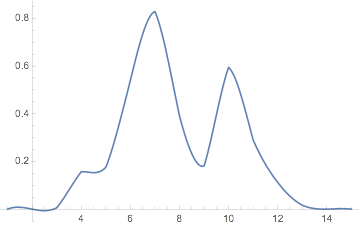 You can define how tall and how many peaks are there going to be in that interval. This final function just uses the previous functions to create a BSplineCurve. I think this question can be closed now. After lots of trial an error I found a way to do this. One way to smooth things is to use an appropriate interpolating order with random points. The ends can be flattened out with the Hamming Window. I decided that instead of trying to use Interpolation, I would interpolate between the points using the solutions of a 4th-order ODE with appropriate boundary conditions, and then stitch them together using Piecewise. I think the results are rather appealing. 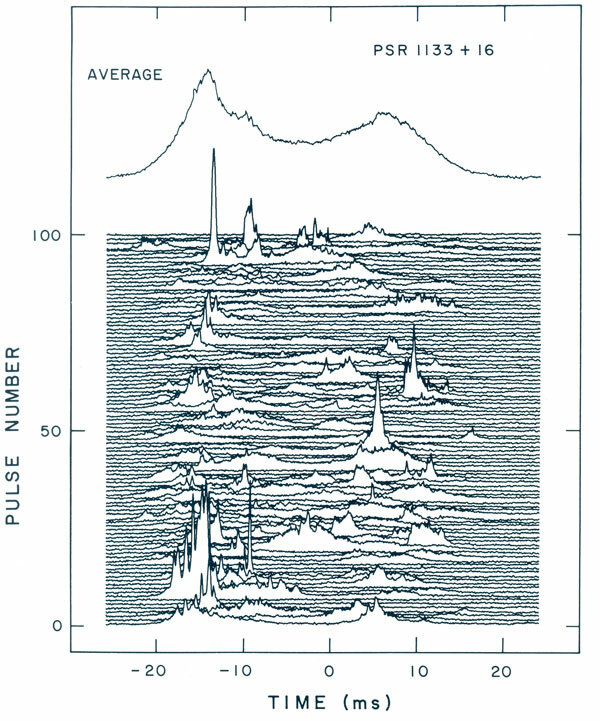 I also have a random number of "peaks" which I create by using Sin. Not the answer you're looking for? Browse other questions tagged plotting random or ask your own question. How to draw some 2D curves in a 3D plot? 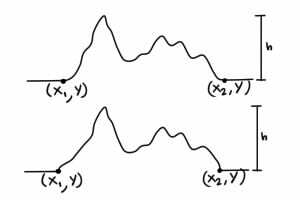 How do you create a 2D random walk?